I received this sweatshirt from my buddy Matt, who now lives in Kansas City, Missouri with his wife, Bernie. He surprised me and I was really excited to get this from him. 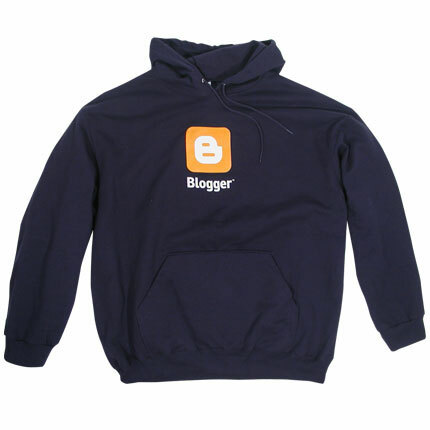 The funny thing is that, I was surfing the Google Store earlier this week and wanted to get this sweatshirt for myself. It was appropriate as I'm a heavy blogger and use Blogger to blog my blogs!! Matt read my mind! Thank you so much, Matt. I love it and really appreciate it. I'll post a picture of me wearing it to work next week. Merry Christmas, Dude! Merry Christmas bro. I am glad that the sweatshirt got there. I was hoping it would get their before Christmas. I can't believe your mailbox is getting a beating again.